As I understand ideology is a system of values, believes, and attitudes. Ideology belongs to the social groups. It helps us to make sense of reality, and feel the world around and understand how it should be. 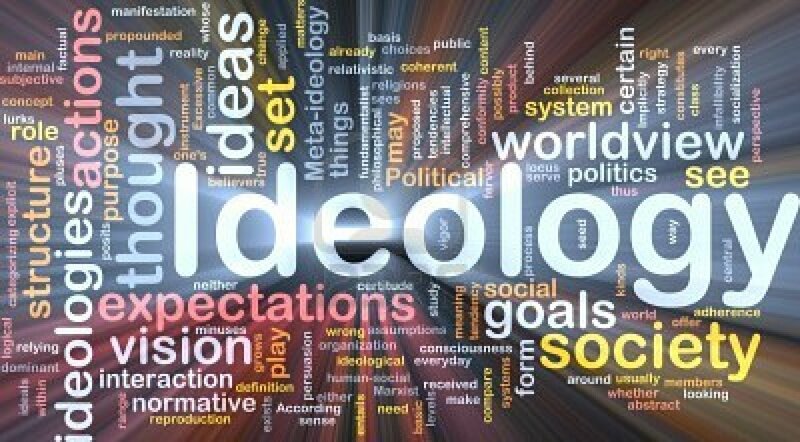 First who gave definition of Ideology are Marks and Engels. They claimed that ideology is always kept by the power of elites. They suppose that dominant values belong to those who have power. Louis Althusser (1971) says that there are two ways to make people do what they want – Repressive state apparatuses it can be a police an army, or if we talk about the school it is a principal, who order you what to do. The second is the Ideological State Apparatuses is the way that society get the things to do the way they want, forming or shaping the way they think. According to Louis Althusser (1971) there are some features that make the concept of ideology. The first one is ideology do not have history. This statement was mentioned in the in Marks` work that related ideology to the world of views of social classes (Kellner, 1981) however, Althusser (1971) described it from the different point of view. He claims that ideology have own structure and functions which applied in the stable manner. Ideology has no history but, therefore, it shows itself as a permanent and valid around the history. The second is ideology operates individuals. Althusser (1971) suppose that individuals act on their own, and feel free because of mechanisms that demonstrates manners in daily life. The third is Ideology represents the imaginary relationship of individuals to their real conditions of existence. It means that ideology is people`s relation to the reality of imaginary distortion rather than distorted image of reality. Next is ideology has material existence. People always act in the way they believe. They do actions that related to their ideology, for example, if they believe in God they go to the mosque. Ideology hails or interpolates concrete individuals as a subject and individuals are already subjects. To simplify we can overview different kind of ideology. If for example we take Marxist Ideology we can say that they believe in the shaped property, collectivism, cooperation, social responsibility and rehouses shared by needs. Such kind of ideology belongs to many western countries. Property rights, small government, individualism, competition, market freedom these are he values to the Capitalist Ideology. Patriarchal ideology believes in the male property ownership, male inheritance. Also they see men as protectors and man in political control. For the feminist ideology values gender equality, reproductive freedom of choice for women, equitable division of labor in the home. This is how I understand the term Ideology. What is IDEOLOGY for you? Althusser, L. (1971). Ideology and ideological state apparatuses (notes towards an investigation). Lenin and philosophy and other essays, 1971-127. Fullan, M. (2013). The Jossey-Bass reader on educational leadership. M. Grogan (Ed.). John Wiley & Sons. Razik, T. A., & Swanson, A. D. (1995). 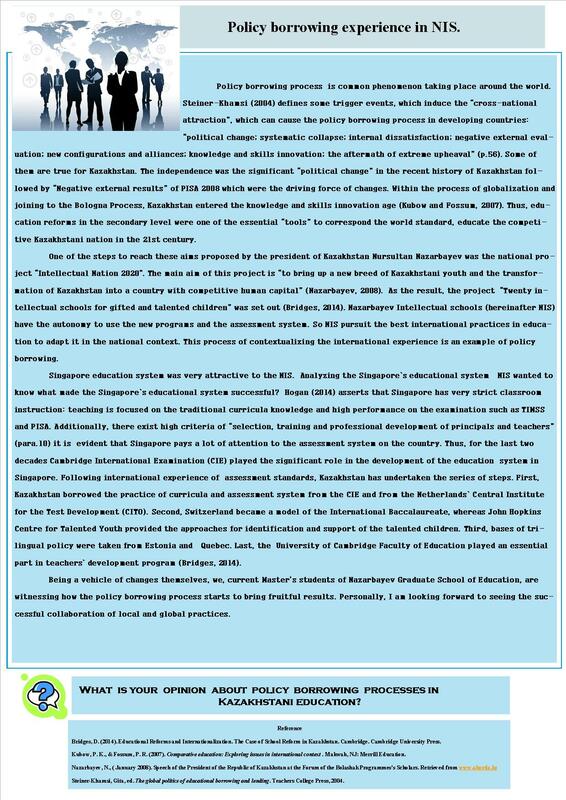 Fundamental concepts of educational leadership and management. Merrill. Tomlinson H., (2013) Educational Leadership Personal Growth for Professional Development. Ward, A. (2006). Handbook of social psychology (p. 571). J. D. DeLamater (Ed.). Springer. The development of pedagogical innovation in our country is connected with the massive socio-pedagogical movement. The usage of innovative methods is a result of needs for new knowledge. Innovation is an implementation of ideas and it starts in education. The significant role in the process of innovative education is carried by teachers who bring new ideas into their teaching. These teachers prepare students for success by emphasizing 21st century skills such as critical thinking, problem-solving, creativity, and collaboration. Critical thinking is an indispensable skill for successful personal and professional development. Therefore, educators should be aware of its importance for the students’ socialization and cognitive growth. Innovation requires critical thinking. Critical thinking in education is defined as the intellectual thought process of analyzing, conceptualizing, synthesizing, and evaluating information gathered through observation, reflection, reasoning, or experience. In a challenging and constantly changing world, students are required to develop advanced thinking skills such as critical systematic thinking, decision making and problem solving. This challenge requires developing critical thinking abilities which are essential in unfamiliar situations. In the field of education, it is generally agreed that critical thinking capabilities are crucial to one’s success in the modern world, where making rational decisions is increasingly becoming an important part of everyday life. Critical thinking skills help students to develop self-confidence in creating solutions, evaluating their ideas, and making final decisions. Critical thinking helps children to develop the necessary skills in life to adjust to their environments and look for answers beyond the obvious. It can also assist children in understanding their surroundings in a personal way. It breaks down barriers that children encounter. They will be able to apply knowledge gained if they know how to analyze and think deeply. They will manage to adapt to different cultures and beliefs that differ from theirs. 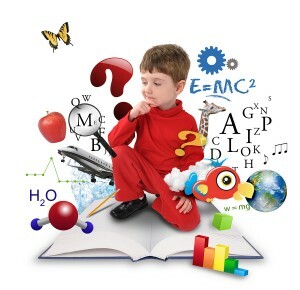 Critical thinking in education opens the mind of children to the world around them. The 21st century has brought a new paradigm into education. The approaches to education have changed significantly. In the past teachers were just to transmiss knowledge rather than to teach them how to proceed and use information gained in the practice. Thus, teachers must be on par with time and utilize the most innovative methods as critical thinking. The ability to think critically opens a window to new opportunities and successful integration into rapidly changing world. Do you have an ability to think critically? Let`s watch the videos and define the main massage of the authors. In you opinion, do such kind of videos help to develop students` critical thinking? Paul, R., & Elder, L. (2001). The miniature guide to critical thinking: Concepts & tools (Vol. 2). Foundation Critical Thinking. Browne, M. N., Freeman, K. E., & Williamson, C. L. (2000). The importance of critical thinking for student use of the Internet. College Student Journal, 34(3), 391-398. It seems to me that it was yesterday that I was nervously preparing to the presentation of my methodology lesson at university. After my speech was finished my teacher gave me verbal feedback. And it was done in front of the whole class! It is unnecessary to say that it was not “perfect”. I still remember that feedback because it was negative, disappointing and did not give me the answer to the question “What exactly was wrong and what to do to make it perfect?” Most of my lessons were blow sky-high, of course I understand that not all of them were perfectly planned and my teacher wanted to improve my presentation skills, but should she criticize my work in front of entire group, regardless all my effort? It is the sad fact but, most of the students face with the same situation on the lessons, because, a lot of teachers think that feedback must be negative and let student work hard. So, students lose their motivation because they know beforehand what kind of feedback they will get. To avoid this, feedback should be positive or at least neutral and give explanation of the give mark. Feedback it is response that teacher gives on the students` work. It can be written or verbal. The main purpose of the feedback is to let student know “where are they”, explain what to do next and in what direction to follow in order to achieve a goal. Feedback that helps student to “understand and internalize the information” (para 1) is called constructive. 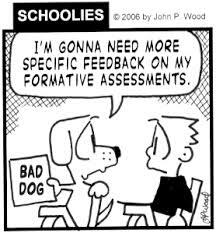 As a teacher, it is necessary to remember that feedback you provide your students must be useful, meaningful and easy to understand; by no means critical, accusatory and vague. “Professional Identity” what is it? What we are going to study about on this course? These were the questions that I asked myself at the beginning of this semester. Now I realize that it is very useful course, because this course helps us to understand the nature of teacher profession. Working as a teacher, I have never thought about it so deeply. When our teacher asked the question “Why do you became a teacher?” It was difficult to find the answer to this question in advance. (Actually, I was sure that I am not going to be a teacher. As I was interested in English, so I choose the profession of an interpreter Though I did not obtain the state grant, I do not regret for becoming a teacher). The course Professional Identity gives us opportunity to think about problems that teachers face in their professional life. After reading the materials, and discussion in the class we find out a lot of obstacles and reasons what made teacher profession is so difficult in the past. And a lot of them are actual nowadays. The most difficult period is beginning ; it is very important to have support on this stage. Why so many young talented teachers just give up, after studying for four years in undergraduate degree? Is it the fault of pre-service institutions? Or we need to blame schools that do not provide necessary support to teachers? Why so many “accident people” are in schools? What education will children get if their teachers are not interested in their achievements? So many questions raised in my mind. Unfortunately, we can not to solve all of them, but perhaps, who knows maybe we will start from yourself. Sessions of the course are held in the interesting way. Everyone is given a chance to lead one of the sessions, and to show their own vision of the problem. At the beginning of the lesson our teacher at gives the tone, so we have a friendly atmosphere during our class. Everyone is relaxed – everyone is welcome to share own opinion. Were you intended to become a teacher or it was your accidental decision? What is your story of becoming a teacher?